My goal is not to keep you for more than 90 seconds. 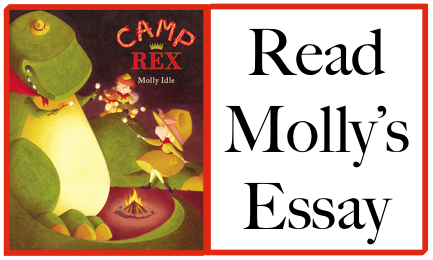 I want to serve you a tasty treat (the book trailer for Molly Idle's Camp Rex) and then send you on your way for the main course (an interview with Molly Idle, a nerdy essay, and Margie's superb review of Camp Rex). Do you have everything you need for a trifecta? Your morning coffee or tea? All the ingredients necessary to make s'mores? 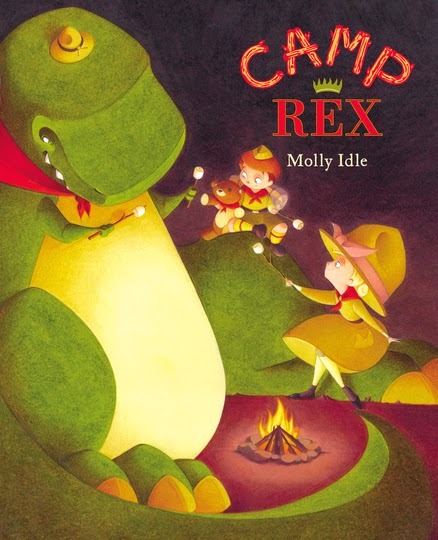 The phone number of your favorite independent bookshop so you can order a copy of Camp Rex? Fantastic! You're always so prepared. Press play. 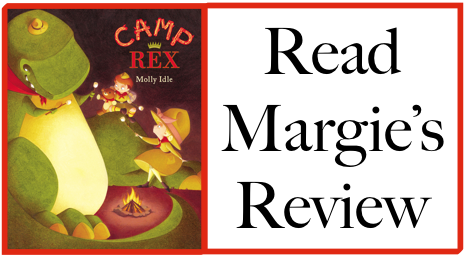 I am giving away one copy of Camp Rex. 1. It will run from 4/27 to 11:59 p.m. on 4/28. Molly Idle is today's blogger over at the Nerdy Book Club. 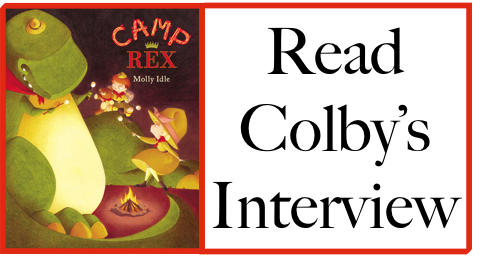 Mr. Colby Sharp interviewed Caldecott Honor winner Molly Idle.